Virtually everyone who works out with weights will, at one time or another, reach a training plateau. When this happens, each trip to the gym, Infact every workout feels like you’re reliving Groundhog Day. One workout just melds into the next and you begin to wonder if you’ll ever again make any gains. If your workout has hit a snag, don’t despair. By implementing the following strategies, you can blast through a plateau and take your physique to new heights. You wouldn’t embark on a road trip without mapping out your destination. If you do, you’re bound to get lost. Yet, in effect, this is often the way women approach their workouts, either due to lack of adequate knowledge or lack of time. 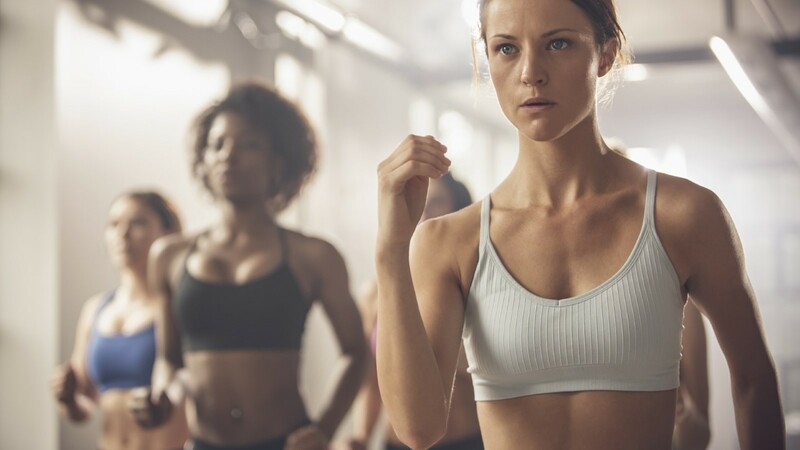 It is all too common for a person to aimlessly wander around the gym thinking, “What should I do now?” Clearly, such an approach is inefficient. There is an old adage that states: Those who fail to plan, plan to fail. With respect to exercise, never was a saying more apropos. Without a definitive game plan, it is only a matter of time before you hit a plateau. The first step in creating a game plan is to clarify your fitness goals. Determine what you want to get out of your training efforts. Is it more size? Better symmetry? Enhanced definition? Each of these objectives requires specific training protocols and, thus, a different game plan. By defining exactly where you want to go, you’ll have a much easier time getting there. Once you have qualified your goals, you then can formulate a routine. It is important to plan out each workout in advance. You must know precisely what you are going to do prior to entering the gym. Decide on the exercises, sets and reps that you will perform. Write them down, if necessary. Account for any possible contingencies. In this way, nothing will be left to chance. During training, avoid any interruptions or distractions that might arise. Now is not the time to socialize or daydream. Save these activities until after you’ve completed your last set. All of your energies should be focused on carrying out your game plan. Remember, your time in the gym is precious. If you want to make ongoing progress, make sure that every moment is spent productively. It is amazing how many women go to the gym and perform the same workout from one session to the next. Day after day, month after month, year after year, their routines don’t change. How boring! When training becomes mundane, apathy is bound to set in. Ultimately, motivation wanes and a plateau is sure to follow. The best way to avoid complacency is by constantly varying your exercise regimen. Variety is the spice of training. Not only does it help to keep your workouts fresh, but it also fosters more complete development of your physique. You see, the human body is a very resourceful entity and readily adapts to a repetitive stress. When the same stimulus is applied on a regular basis, the body doesn’t respond as well to the stimulus. Only by keeping your body off guard will you continue to reap muscular rewards. One way to vary your routine is by utilizing a wide array of exercises. You should strive to perform different movements every time you train. For instance, if you normally perform bicep curls, cable curls and concentration curls for your biceps, change your routine to include hammer curls and incline_bench_curl in your next session. In the following workout, you might employ preacher curls . There are dozens and dozens of different exercises at your disposal-make use of as many as possible. Another way to interject variety is by changing the composition of your routine. If, for example, you work your back and chest on Monday, shoulders and arms on Wednesday, and legs on Friday, switch things around so you train shoulders, chest and triceps on Monday, legs on Wednesday, and back and biceps on Friday. 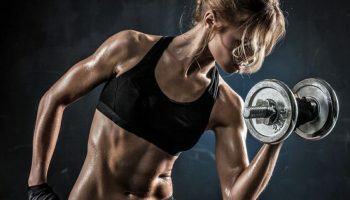 Or perhaps split your routine into four days, performing shoulders and triceps on Monday, back and hamstrings on Tuesday, chest and biceps on Thursday and quadriceps and calves on Friday. You could even employ a total body workout where each major muscle group is trained with only one basic exercise. As you can see, by using a little ingenuity, the possibilities for variation are endless. When you first start training, results tend to come rather easily. Virtually anything you do is a new stimulus to your body and, as long as your technique is reasonably sound, you are apt to make rapid progress. However, after a while, your body becomes accustomed to specific load patterns and results begin to slow down (remember the adaptive nature of the human body). Hence, in order to elicit further gains, you need to train harder and harder. If you don’t, a plateau is inevitable. To avoid this fate, your muscles must be stressed beyond their physical capacity. By nature, the human body strives to maintain stability-a phenomenon called homeostasis. 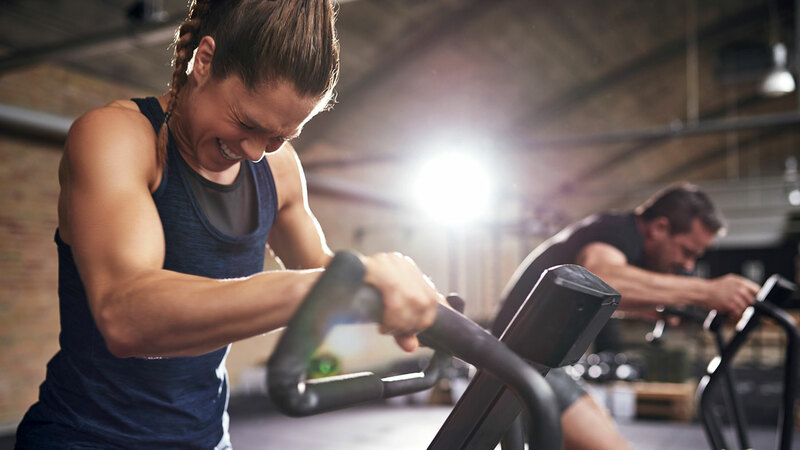 If your training intensity doesn’t sufficiently tax your body’s resources, there won’t be enough of a stimulus to force your body from its homeostatic state. Only by progressively overloading your muscles will they be compelled to produce an adaptive response and grow beyond their normal potential. As a rule, you need to take each set to the point of momentary muscular failure-the point at which you cannot perform another rep. Failure must be achieved physically-not mentally. The extreme discomfort associated with intense training can cause a person to give up before muscular failure actually is reached. However, to achieve optimal results, you must push past the pain threshold and completely fatigue your target muscles. Anything less and results will be compromised. An excellent way to generate increased intensity is by the selective use of forced repetitions. Forced reps allow you to go “beyond” failure, taking your body as far as it can go. The only caveat is that you need the assistance of a spotter. When you reach the point of muscular failure, have the spotter gently help you to pump out an extra rep or two. It’s important, though, to limit the amount of forced reps to no more than two per set. Any more and your partner will be doing the majority of work. 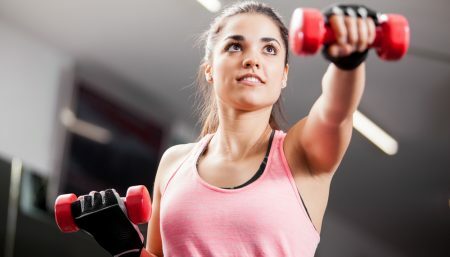 Contrary to popular belief, weight training doesn’t build up your muscles-it breaks them down. 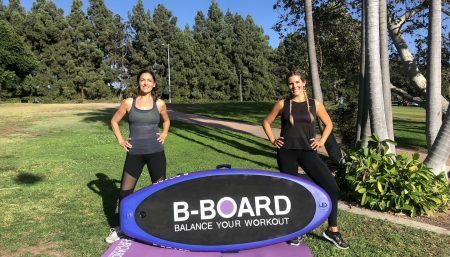 Intense anaerobic exercise places tremendous demands on your body, resulting in a catabolism of muscle tissue, depletion of glycogen reserves, production of free-radicals and overall fatigue of your entire neuromuscular system. Adaptations to these stresses take place during rest. Provided that you have trained hard enough to stimulate muscular gains, your body will use the recovery period to repair, replenish and regenerate itself, growing bigger and stronger in the process. If recuperation is shortchanged, you’re destined to hit a plateau or even regress in your training efforts. Without question, rest is a critical component of exercise. It is almost as important as training itself. All too often, women mistakenly subscribe to the theory that if a little bit is good more must be better. They go to the gym and pound their body on a daily basis, rarely taking a day off. Don’t fall into this trap! The accrual of muscular mass is your body’s way of preparing to cope with future high-intensity stresses. By training too frequently, your body never has the chance to adequately recover from the extreme demands being placed on it. Inevitably, you will become grossly over-trained and muscular growth will be brought to a grinding halt. With respect to weight training, less can be more! But how much is too much? Since everyone has varying recuperative abilities, this is a difficult question to answer. However, a good rule of thumb is to allow 48 hours between intense training sessions. This generally will be sufficient for your body to replenish its energy stores and facilitate neuromuscular repair. According to WF fitness experts it is best to schedule workouts on three, non-consecutive days per week (i.e. Monday, Wednesday, Friday, etc), with off-days reserved for light, relaxed activities. While you can experiment with other combinations (i.e. two-on/one-off, two-on/two-off, etc), be very conscious as to how your body recovers between sessions. When in doubt, it is better to under train than to overstrain.